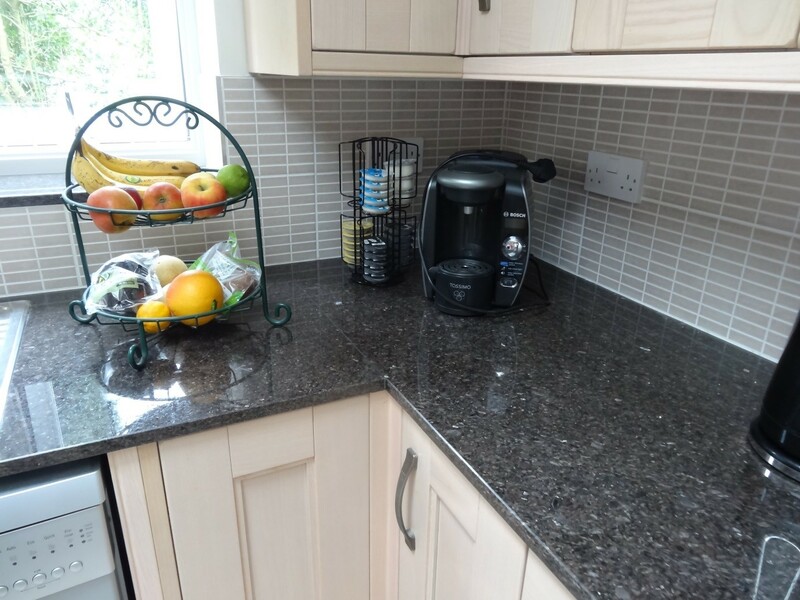 With the factory located centrally in Knutsford, we have templated and fitted quartz and granite worktops for delighted customers living in and around Warrington, including Lymm, Grappenhall, Appleton, Stockton Heath and High Legh. Read below a selection of reviews from our delighted Warrington customers. 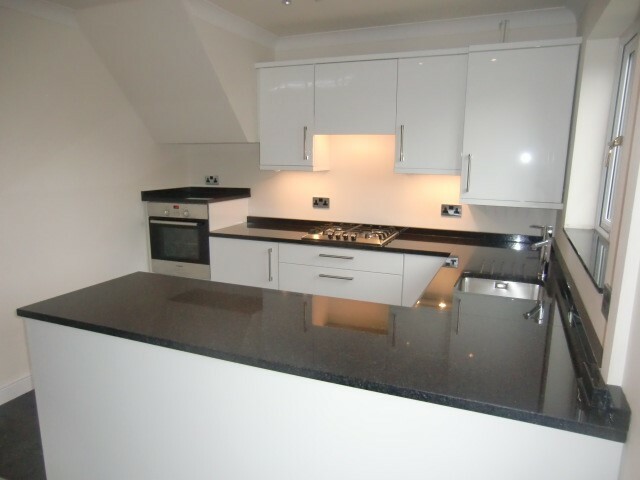 Requirements: 20mm worktops with 50mm high upstands, granite window sill, polished sink cut-out with drainer grooves and hob cut-out. 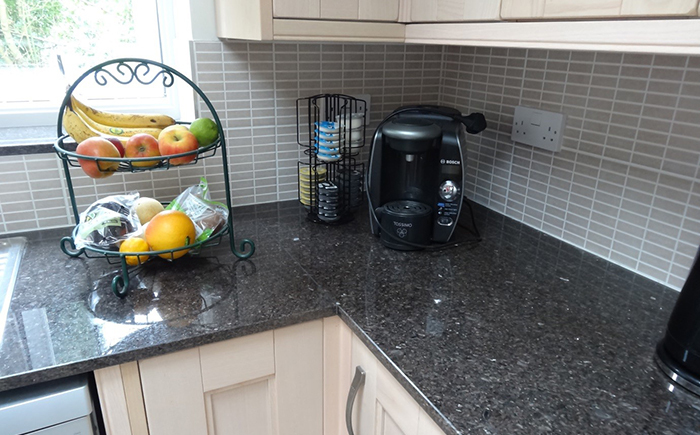 Extras:Granite worktop on top of oven housing to create an additional elevated work surface.